For active duty and reservist service members, as well as veteran students not using VA benefits, documentation from your specific branch of the military that indicates you are or were active in that branch will be required. Students that intend to use the Post 9/11 GI Bill, Montgomery GI Bill, or Dependents Educational Assistance should submit their VA Certificate of Eligibility. Please provide us with one of the following documents to finance@online.berklee.edu or fax to 1-617-747-2149. Once the documentation has been approved, you will be eligible for the reduction moving forward. 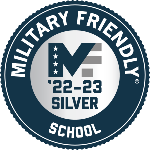 Once we have received your military documentation the 30% tuition reduction will be applied automatically every term. Discounts are not retroactive. Top-Up is a program that allows GI Bill participants to use the GI Bill to supplement the tuition and fees not covered by tuition assistance. The amount of the benefit can be equal to the difference between the total cost of a college course and the amount of tuition assistance that is paid by the military for the course. The amount of the benefit is limited to the amount that the person would receive for the same course if regular MGIB benefits were being paid. In no case can the amount paid by the military combined with the amount paid by VA be more than the total cost of the course. A copy of the Tuition Assistance (TA) Authorization form for the course that has been signed by an authorized military official will be required. Students who have not requested MGIB benefits before should submit a VA Form 22-1990 at vets.gov to establish eligibility. The resources below contain helpful information for both prospective and current students. If you have any questions or would like assistance in navigation, please contact our Veterans Affairs Coordinator at finance@online.berklee.edu. The U.S. Department of Education's College Affordability and Transparency Center's College Scorecards make it easier to find the right college for you. You can use the College Scorecard to learn more about a college's affordability and value in order to make more informed decisions about which college to attend. College Navigator allows prospective and current students to research general information, tuition, fees, estimated student expenses, financial aid, enrollment and admissions statistics, retention and graduation rates, accreditation, and various additional information for colleges across the United States. Financial Aid Shopping Sheet provides students, families, and institutions with resources and background about the development and adoption of the Financial Aid Shopping Sheet. The "Shopping Sheet" was previously known as the "Model Financial Aid Offer Form" and "Know Before You Owe." Paying for College is a helpful tool for making informed financial decisions for college.